Each year, the Federal and Provincial Governments’ Department of Public Safety and Emergency Preparedness organizes an emergency response initiative called “Preparedness Week”. This year, it runs from May 6 – 12. It is similar to BC ShakeOut in its objectives and goals; provide resources to ensure that all Canadians are teaching and practicing emergency preparedness in your school and community. As this brings emergency preparedness to the forefront of people’s minds during that time, we thought we’d share some information about GetMyKit’s free, online fundraising program in hopes that you, or someone you know, would consider participating. Since the program’s inception in September 2017, over 30 clubs, schools and organizations have participated and raised thousands of dollars. Because they had chosen to participate, they made a positive impact in their community. Almost 100 more families – who purchased their kits through their campaigns – have become emergency prepared. We believe that this is the tip of the iceberg and there’s more to be done! There are fundraisers happening as we publish this blog and we look forward to having your organization join in this growing movement. How Does the GetMyKit Program Work? Offer the opportunity to take emergency preparedness off of your community member’s to-do lists by purchasing their home emergency supplies and help raise money for your organization. Encourage your community to purchase a home emergency kit using your unique fundraising code. For each home emergency kit purchased using your fundraising coupon code, $25.00 will be contributed to your school’s fundraising cause. We will manage all purchases through our site and will ship directly to your buyer. You will get a complete report on how many kits were purchased using your code along with your fundraising payment. 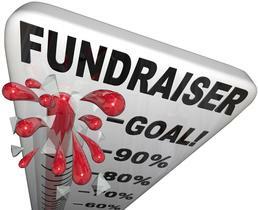 We will help you promote your fundraising campaign by sending you information to distribute to your community (PDF poster, Preparedness Guides & Plan documents, social media templates & communication templates in Word). There is some work to be done on your end however but we promise it’s not a big assignment. You will be responsible for finding other unique ways to promote your fundraiser, communicate your goals and efforts, and keep the excitement going during the 3 week period. As this is a Federally and Provincially promoted initiative, there is a wealth of emergency preparedness information that you can use to show the importance of having an emergency plan and ensuring that everyone has supplies at hand. We will send more information to participants and will be utilizing social media promoting BC Preparedness Week. Help your community get prepared while raising some extra funds for your group, club, school or organization!